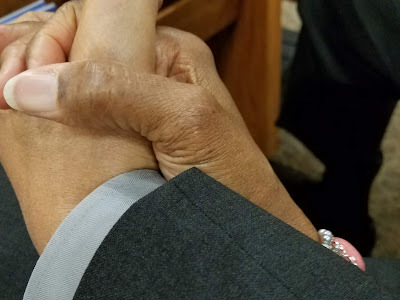 NOTE: Both my husband Norman and our Pastor, Dr. David Clear encouraged me to write this article in response to several questions regarding what to do when there has been upheaval in the ministry. This is written mainly for those who are wondering how to help. Bad news is like an explosion; immediately painful and abruptly shocking, knocking people off their feet. The cold numbness it leaves behind is a side-effect that takes time to resolve. Explosions in the ministry have been happening for years now, and are a sad reminder of our perilous times. 1. Turn up the prayer to the maximum level. Walk around praying, sit down and pray, kneel and pray, fall asleep with prayer on your lips, wake up and pray, and pray as if you were the only one on duty! "Pray without ceasing." (I Thess. 5:17) Make a list of the names of everyone you can think of, then pray for them specifically. Pray for everyone involved. We will never pray too much, and God will never get tired of hearing from us. 3. Do not panic! Bad news is not the end of the world; even though it may change the face of a ministry or a family. "Be not afraid of sudden fear, neither of the desolation of the wicked, when it cometh. For the Lord shall be thy confidence, and shall keep thy foot from being taken." (Prov. 3:25-26) Remain calm in the face of all the billowing smoke and crumbling structures. As many a Grandmother used to say, "This too, shall pass." 5. Recycle good news. There is a sickening tendency to keep bad news alive by discussing and analyzing situations over and over again. This has been made easier by today's technology, but what good does it do? The focus should be on repair; not on rehashing. "A talebearer (scandal-monger) revealeth secrets: but he that is of a faithful spirit concealeth the matter." (Prov. 11:13) We have seen fallen soldiers before, and their pain is not entertaining. Go back to item number one (prayer) and practice it earnestly, fervently, and diligently. Do not fan the destructive flames of gossip by participating in useless discussions about "what happened." Staying in the Word and in prayer is a way of remaining "in a covered position." Of course, if you were at the "epicenter" of the explosion, you have taken a direct hit and will need time to heal. It is unlikely that someone who has been directly hurt by a scandal is reading something like this article, but in case you are, realize that the force of the blast will leave you feeling painfully dazed and disoriented for some time to come. Your heart may even literally ache as you process everything that has changed in your life in a virtual moment of time. The Lord knows your pain, and will comfort you like never before. "Yea though I walk through the valley of the shadow of death, I will fear no evil: for thou art with me; thy rod and thy staff they comfort me." (Psa. 23:4) As soon as possible, seek godly counsel and allow someone to help you. Explosions often leave many wounded, but they also have a tendency to bring out the morbid spectators with their armchair observations and opinions. Once an explosion has happened, running around and talking about how big it was accomplishes absolutely nothing. Run to the Lord and cry out to Him, but say very little about the catastrophe to others. People have been hurt, and they are in breathless shock after the force of a life-altering explosion. As the wounded are uncovering their heads and trying to figure out what happened, they need our help, not our opinions. *Keep the Heart does not endorse everything found at eHow.com. The source was cited for crediting purposes only. You don't know me, but I have been very blessed to have heard you teach many times on CD. The Lord has used you in a huge way to really mark my life, and I am so thankful for you! This article could not have come at a better time for me... Thank-you so much! I am always grateful if anything I've written is beneficial to others. The timing was of the Lord. God bless you, and thank you for writing. I just wanted to tell you that reading your article was a help to me. I've been trying to describe to my husband how I feel, and now I know. I was in close proximity to a major explosion. I am dazed and disoriented. I will stay covered in the Word, and it will be ok. You have ministered greatly to me, and I thank you with all my heart. Trying to describe feelings is like trying to translate a sentence into a foreign language! I am grateful that the article helped you sort some things out. The Lord gave me direction, and may He be magnified as many wounded begin the process of healing, including you. God bless you. It surely is God's wisdom from His Word, because without it, I would not know how to survive life's explosions either! I am continuing in prayer for many friends who are in the process of healing as well.